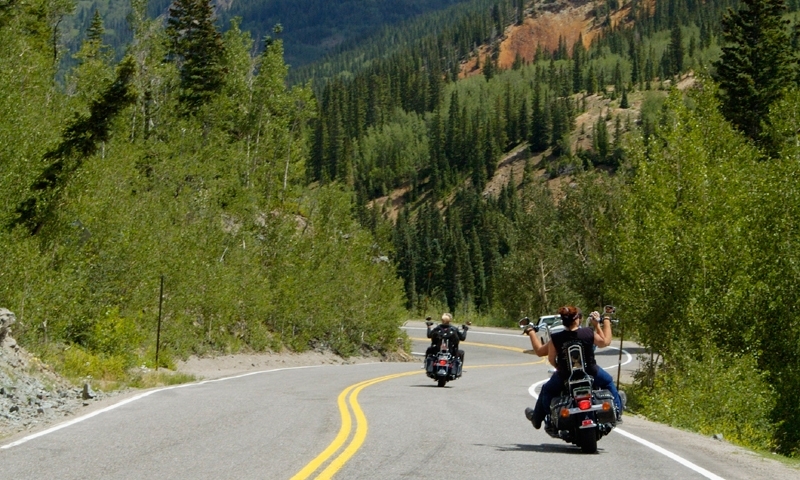 Estes Park Motorcycle Rides are an unforgettable way to experience the landscape of the Rocky Mountains. 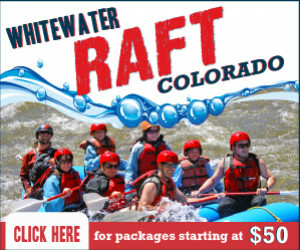 Go through rich forests, vibrant valleys, and high alpine terrain. Providing custom and group motorcycle tours in Colorado and the West. Adventure Rider driven tours. Head to Thunder Mountain Harley-Davidson for the best deals on the hottest bikes around. Scooter Rental!!! Hourly and daily rates, many models available. Where can I enjoy a Motorcycle ride? Enjoy the fresh mountain air as you wind your way through mountain formations, meadows, national forest, old western towns, historic sites, and specialty craft shops. Directions: From Estes Park, go south on Hwy 7. After Allenspark turn right on CO 72. Continue south on CO 72. In Nederland, continue south on CO 119 (you’ll pass a Visitor Center on your right). Keep heading south on CO 119. The byway ends at US 6 (Clear Creek Canyon Road). Go west on US 6 to connect with I-70. Distance/Time: The entire byway is 55 miles. It takes about 80 minutes to drive one way, but allow 2 hours. This road meanders into the heart of Rocky Mountain National Park. Watch Glacier Creek as it thunders beside you and you ride deeper into the lush forest. Stop for a picnic or short hike at one of the trailheads along the way. Directions: Go west on US 36. Enter Rocky Mountain National Park through the Beaver Meadows Entrance. Turn left on Bear Lake Road. Continue all the way to Bear Lake Trailhead. Distance/Time: About 21 miles round trip from the Beaver Meadows Visitor Center. It takes about 50 minutes out-and-back. Discover one of the most magnificent canyon drives in Colorado. Opt to take a secluded detour that exposes you to even more cliff faces. Directions: Drive east on US 34 out of Estes Park. Continue all the way to Loveland. For the detour, start by riding northeast on MacGregor Avenue and go through Glen Haven. When you reach Drake, go east on US 34. Continue to Loveland. Distance/Time: This 25-mile trip takes about 40 minutes to navigate. If you go through Glen Have the drive is about 5 miles longer, and 10 minutes more. Experience the elevation of the highest continuous paved highway in the United States. Take in breathtaking views, and stop at the Alpine Visitor Center to warm up. Directions: Trail Ridge Road begins at Deer Ridge Junction in Rocky Mountain National Park. Enter the Park at the Beaver Meadows Entrance. Continue on US 34, which turns into Trail Ridge Road. The road goes all the way to Grand Lake. Many people turn around at the Alpine Visitor Center, just past the highest point of the drive. If you drive all the way to Grand Lake, you can return on US 34, or drive all the way around Rocky Mountain National Park. Distance/Time: Estes Park to the Alpine Visitor Center is about 48 miles out-and-back, and 2 hours round trip. Road Conditions: Paved. Windy and chilly above tree line! There’re a handful of motorcycle guides in the Estes Park area. Give them the details of the trip you want, and they’ll set up your ride today.